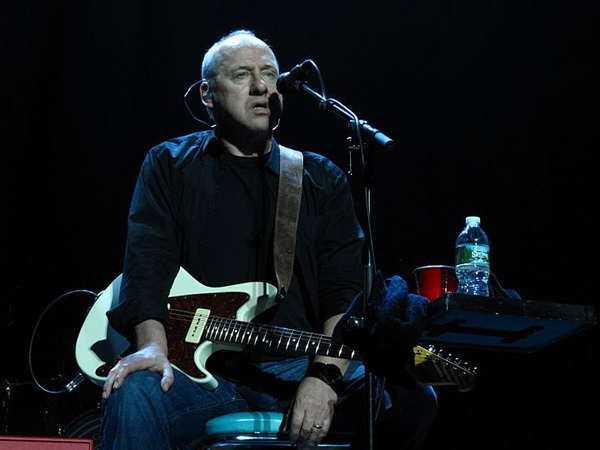 Visitors of Mark Knopfler’s latest Get Lucky tour might have wondered about one of Knopfler’s new guitars which he used on stage for the last song each night – Piper to the End. This song features (live and studio) the Electrajet built by Luthier Don Grosh. Don Grosh started his company Grosh Guitars in 1993, “with the singular goal of producing the world’s finest custom electric guitars and basses” (quote Grosh website). Each guitar is built from high-quality materials and parts by a small team of experienced luthiers under control and direction of Don Grosh himself. 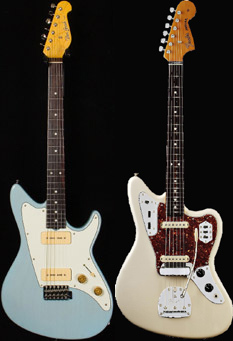 The product range covers models with both Fender or Gibson influence. Mark’s guitar is the Electrajet, a Fenderish design which looks like a blend between a Stratocaster and a Jaguar or a Jazzmaster. 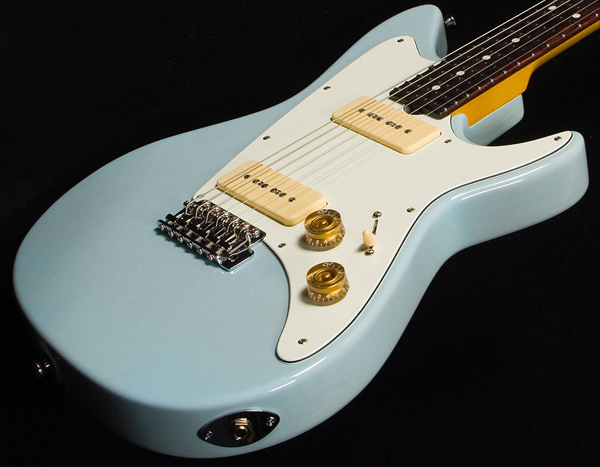 The Electrajet normally has an alder body, although ash or mahogany are optional. Grosh uses only hand-selected (“tap-tone matched”) old-growth tone woods. 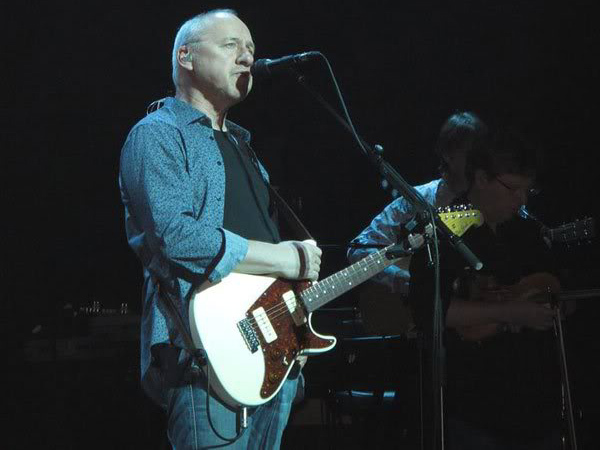 Unfortunately at the moment there is no information on the details of Mark’s guitar but it does not seem to differ much from the standard configuration except the brown tortoise pickguard instead of the standard one in aged white. The neck is maple with a rosewood fingerboard (brazilian rosewood is available at a 400$ extra charge). 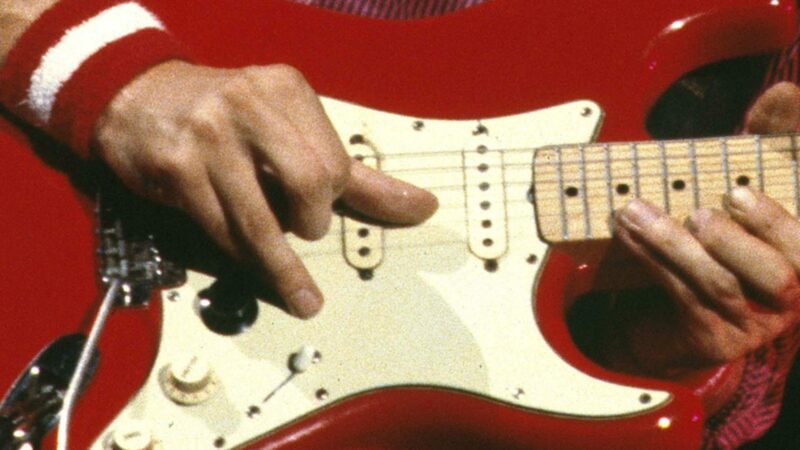 The tremolo system is a vintage-style Gotoh or Wilkinson Stratocaster bridge, while the jack plate seems to be adopted from the Telecaster. 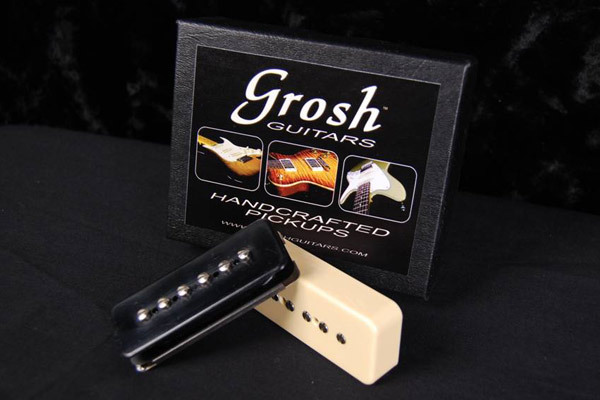 The pick-ups are two handcrafted P90 – manufactured by Grosh, or optionally by Fralin. The original P90 is a Gibson single coil pick-up which has a warmer and fatter sound than a Fender single coil like in the Stratocaster. 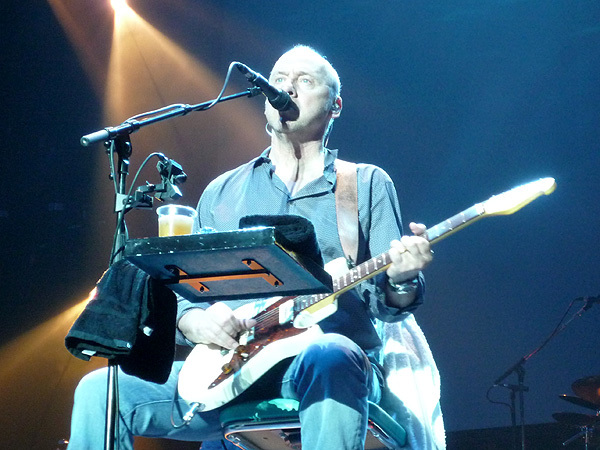 Knopfler’s Electrajet seems to be in aged white. All Grosh guitars feature a hand-rubbed ultrathin nitrocellulose laquer finish which allows the wood to “breathe”. The Electrajet is priced at $ 2,950 (base price, additional costs for optional features) for the custom version, or at $ 2,000 for a standard version. A detailed list of the differences between both and much more information on the Electrajet can be found on the Grosh website. I can’t tell whether Mark used the Electrajet for other songs than Piper To the End. Here he played the bridge pick-up. I had the impression it did not went through his Reinhardt amps but through the Tone King Imperial. The sound was sharp (because of the bridge pick-up) with some warm distortion. Below are some pictures from the recent tour which show Mark with the Electrajet.